Para Site is pleased to present The world is our home. A poem on abstraction, featuring works by Robert Motherwell, Bruce Nauman, Tomie Ohtake, and Tang Chang. The world is our home is part of Para Site’s series of groundbreaking exhibitions employing a speculative approach to the art histories that need to be written around our regions. 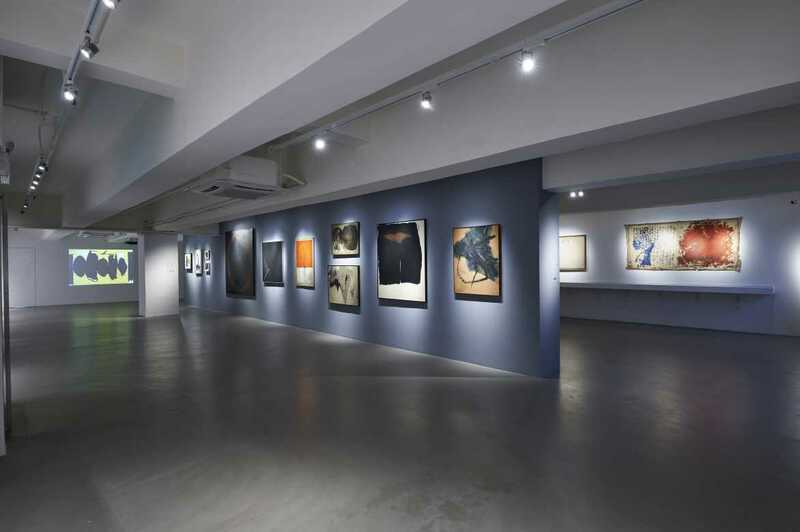 The exhibition takes as its point of departure a moment in the abstract movement of the post-war era, when dominant international vocabularies became entangled with traditional Asian painting in the work of a few artists, working independently and in disparate contexts. 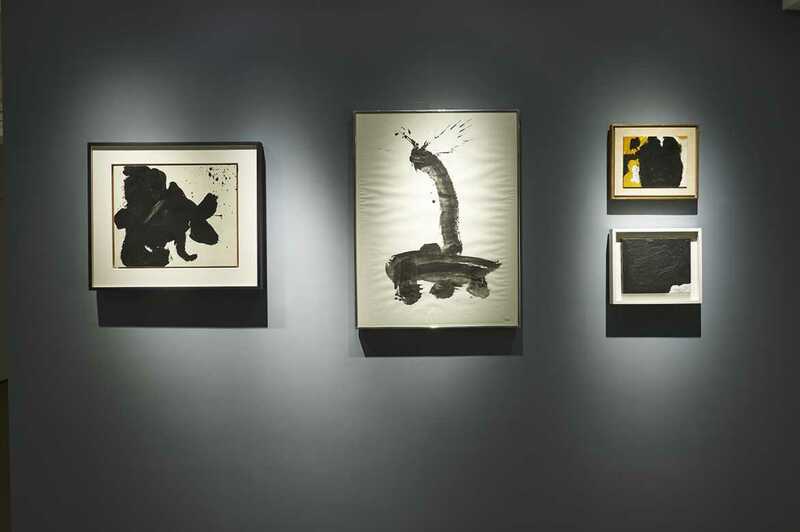 The show gathers a small but consistent body of works by Motherwell, Ohtake, and Tang, three abstract painters active outside of East Asia whose experimental practices incorporated artistic traditions of this region. 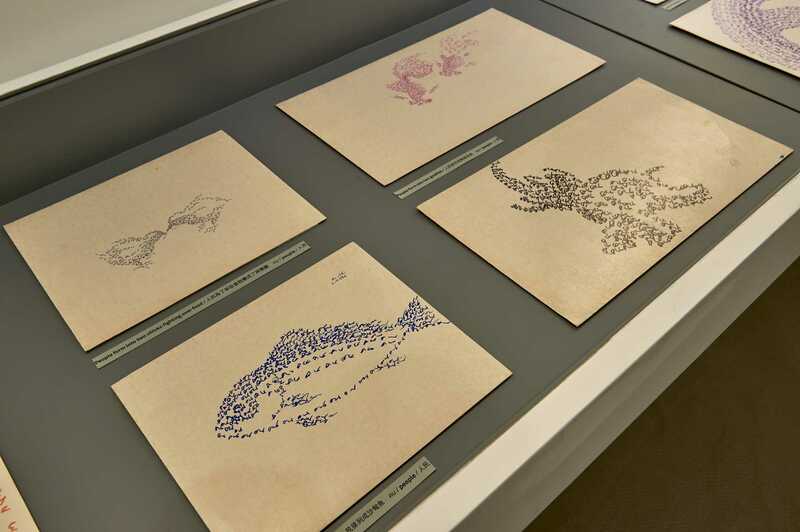 The juxtaposition of these artists brings into light formal similarities as well as distinctiveness in their appropriation of ink painting and calligraphy. 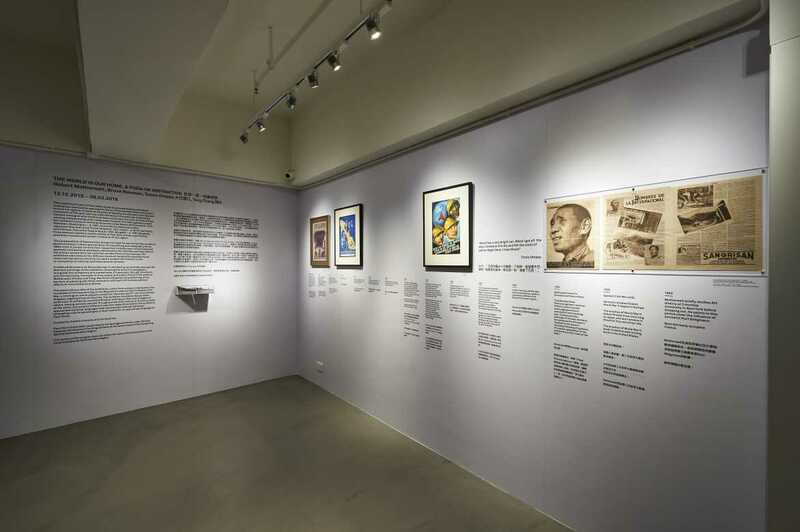 At the same time, it points out how their respective contexts each incorporated the aesthetic and political paradigms delivered by the Cold War, and how each of the artists carved their own position amidst these circumstances. The exhibition also looks at the different levels of marginality operated by art historical narratives and aims to make a modest contribution to the re-evaluation of national and international cannons. Tang Chang (b. 1934, Bangkok–d. 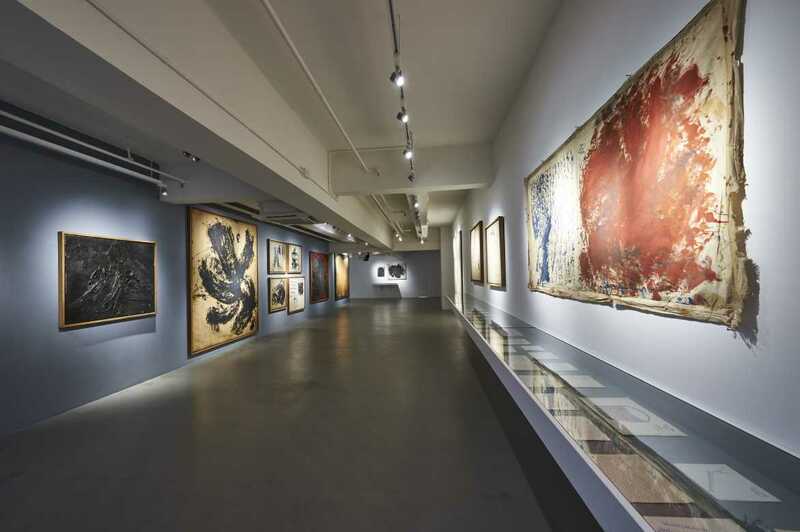 1990, Bangkok) is recognized as an important painter and poet of Thailand’s modern era. Following the 1932 revolution, Thailand has experienced political upheavals that have also been reflected in the cultural arena, where the early attempts to make Thai culture more Westernized were replaced by a search for a more authentic Thai spirit. 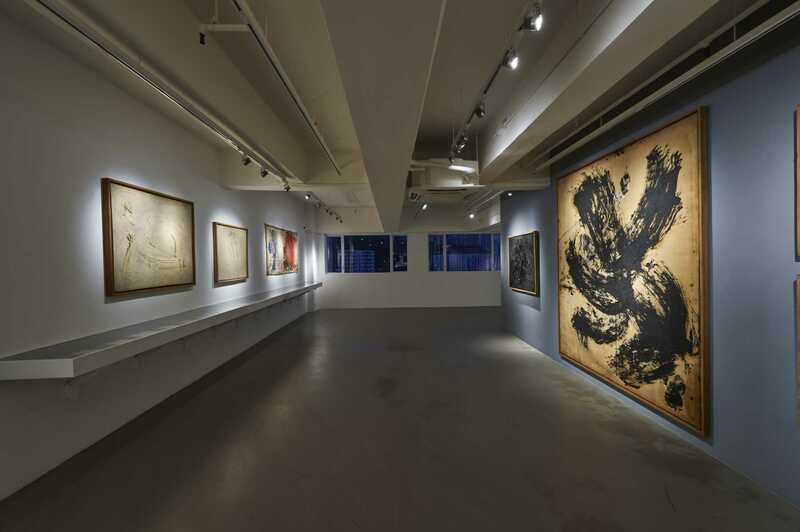 A self-taught artist, Tang was not fully integrated in the national cannon, perhaps due to his Chinese descent and his explicit embracing of his origins, or the lack of tokenistic Thai forms in his art. 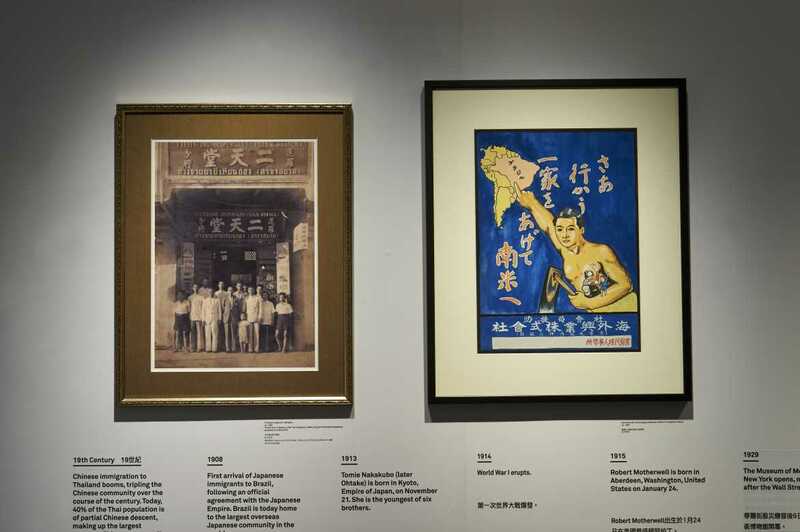 To the guardians of the national canon, his paintings were double outcasts, being both too internationally abstract and too Chinese. His prolific body of work ranges from informal gestural abstract painting to expressionist portraiture, as well as extensive poetry-drawings, alongside his writings. The clear recognition of calligraphy in the materiality of his large-scale canvases translates a gesture of violence and angst. His poetry-drawings should be read on the background of the 1970s student uprisings and crackdown by the military regime. 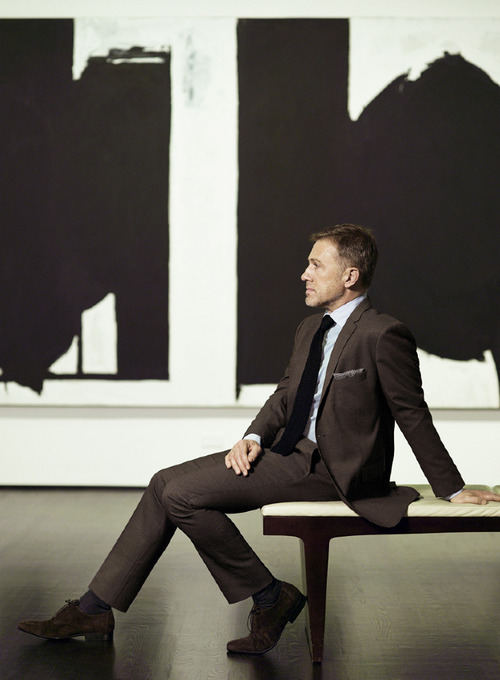 Robert Motherwell (b. 1915, Aberdeen, Washington–d. 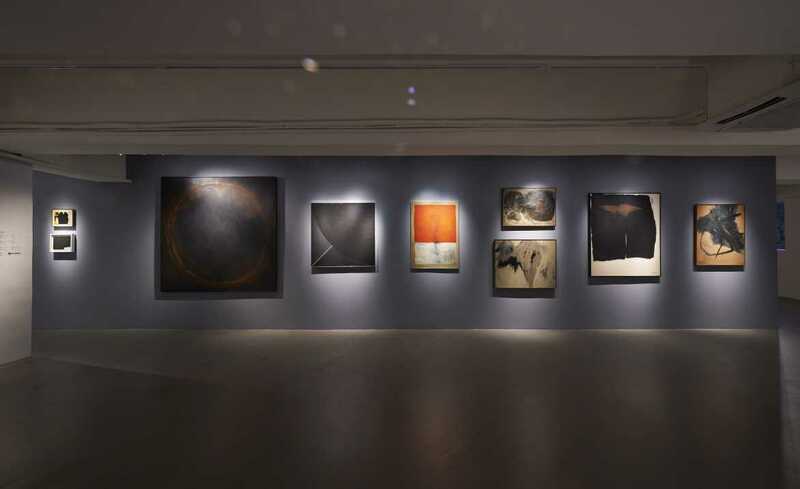 1991, Provincetown, Massachusetts) was a prominent American abstract painter, the youngest of the Abstract Expressionist school that became a leading international artistic paradigm of the early Cold War era, strongly associated with the US, culturally and often politically. 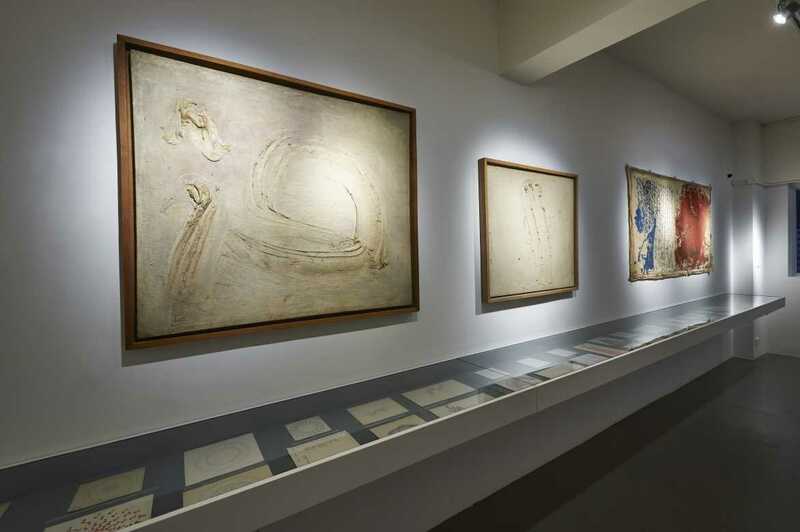 Motherwell was a highly intellectual artist: articulate and informed, he was the author of a prolific body of writings. 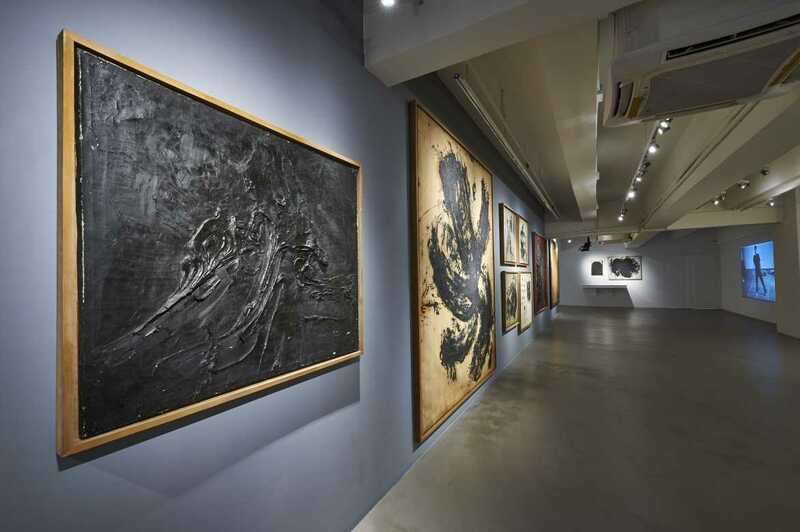 His paintings often repeated forms and gestures found in Chinese and Japanese painting, an interest connected to the artist’s collection of traditional art and textbooks from East Asia. Rather than an orientalist infatuation, his obsession with thick strokes and gestures grew over the decades into a unique epistemology of form that gives his paintings a distinctive character among the artists of his generation. 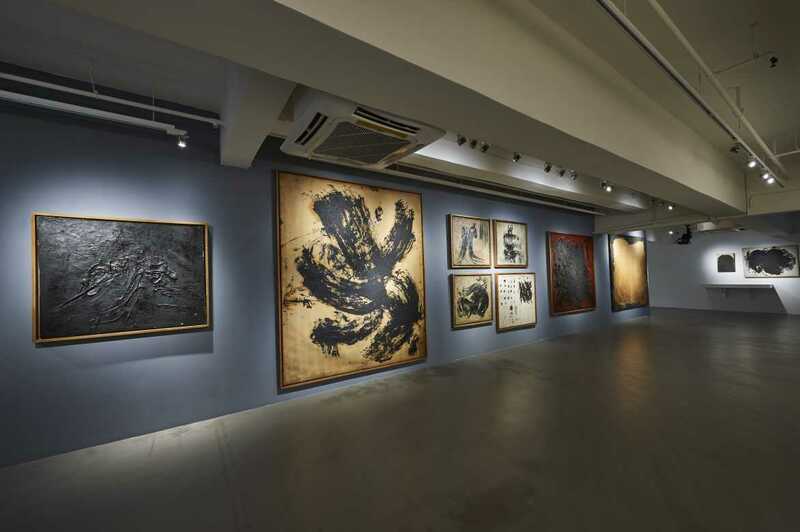 The influence of Asian calligraphy and ink painting is visible in a recurrent subject he titled “Elegy to the Spanish Republic,” resurfacing time and again as a never-ending series of paintings. This can be read as Motherwell’s form of protest against the perseverance of fascism long after the end of the Spanish Civil War. 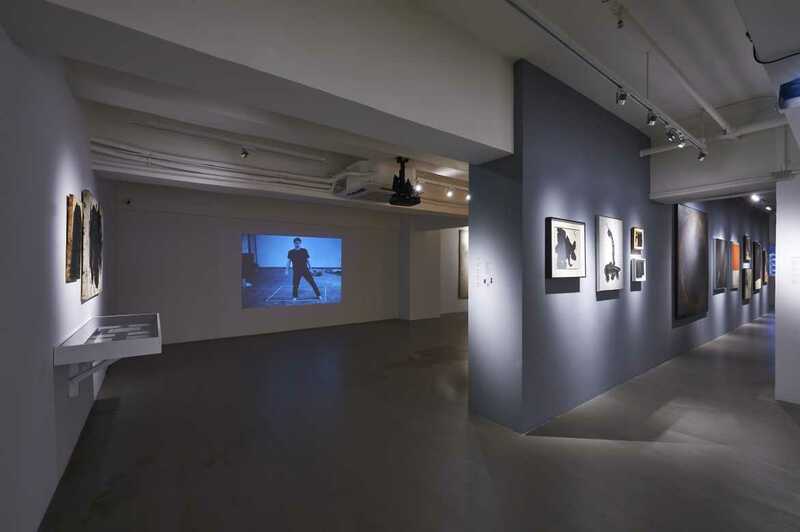 The exhibition also presents Bruce Nauman’s (b. 1941, Fort Wayne, Indiana) video-performance Dance or Exercise on the Perimeter of a Square (Square Dance) (1967–68). 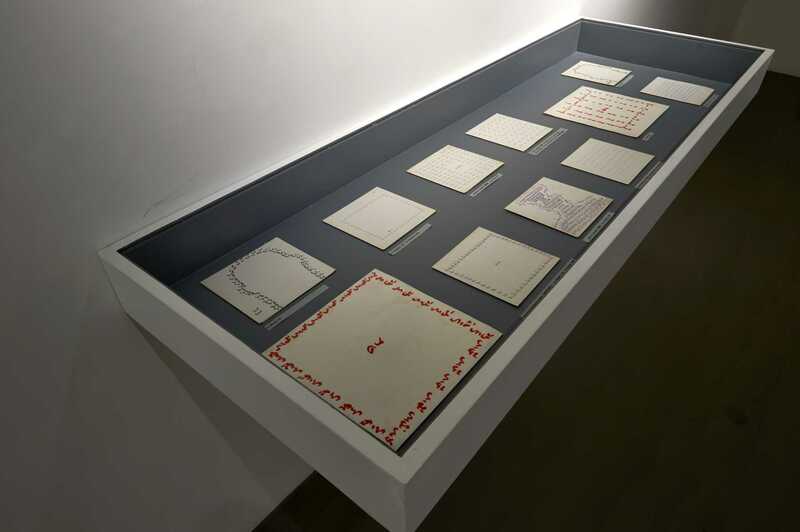 Shown as an anomaly amongst the pinacothèque display of the exhibition, Nauman’s choreography, alongside the limitations of a marked area, translates, through movement and immateriality, concepts of time, space, and matter found in the works of Motherwell, Ohtake, and Tang. 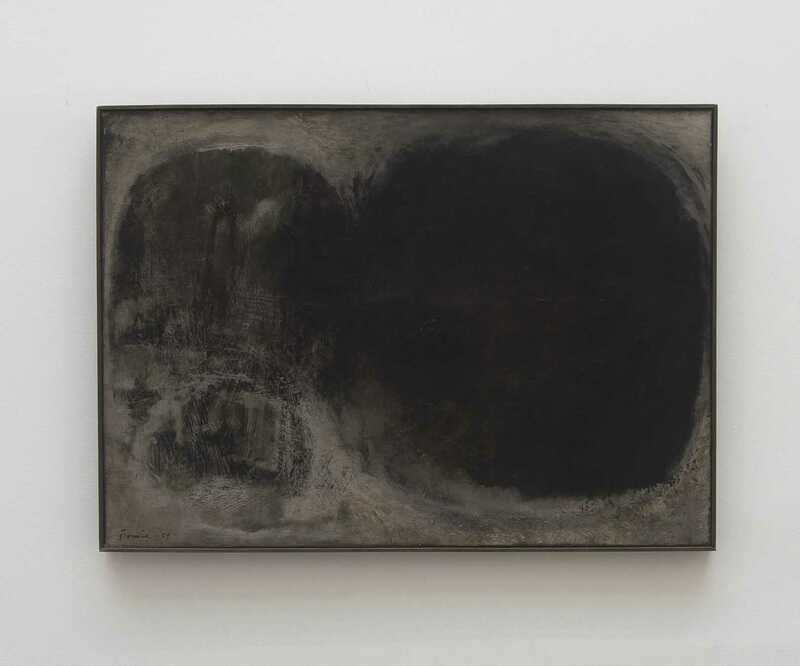 Nauman’s metaphorical questioning of the barriers of painting also finds resonance with each of the three painters’ efforts to move these boundaries. 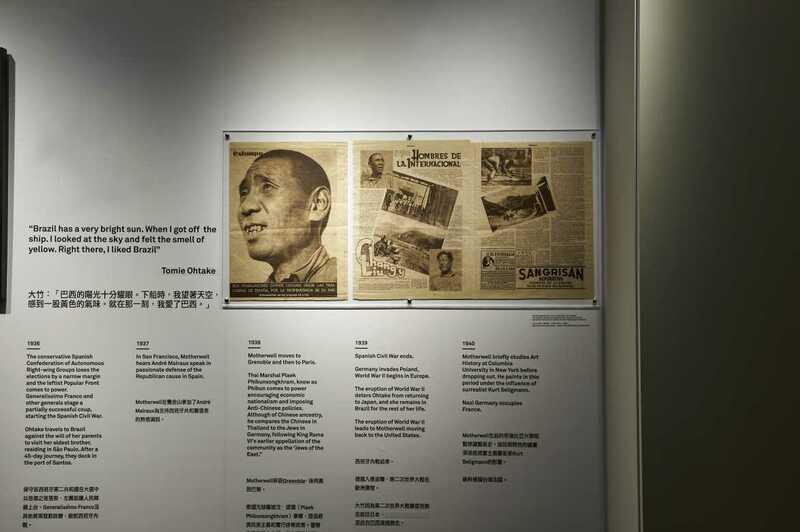 The platitudinous title of the exhibition comes from a slogan employed by the hundreds of Chinese volunteers serving on the Republican side during the Spanish Civil War, a contingent which played a small but important part in the International Brigades fighting Franco’s fascists. The sentence translates the personal sentiment of solidarity and identification with the context and struggles of others. 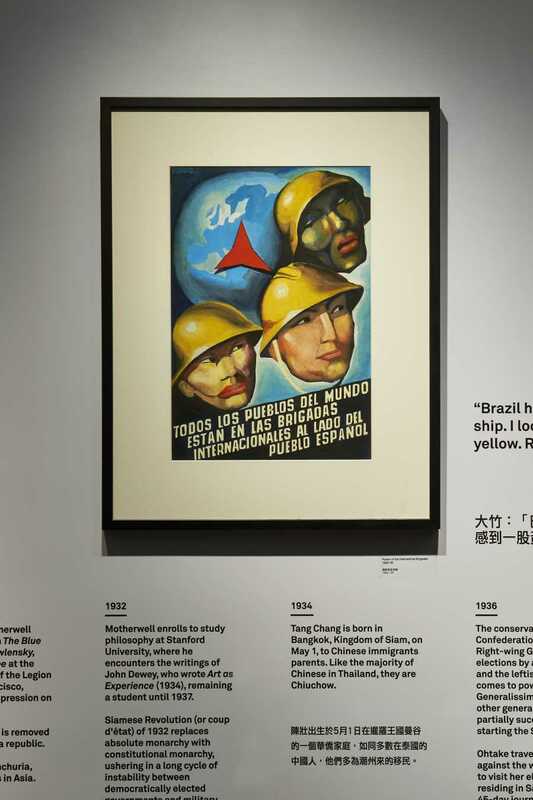 Having actively painted throughout the 20th century in diverse corners of the world, and entered different cannons, these three artists felt entitled to appropriate pictorial languages that transcended national identities, entangling cultural genealogies in their search for an appropriate language for their times. The world is our home. 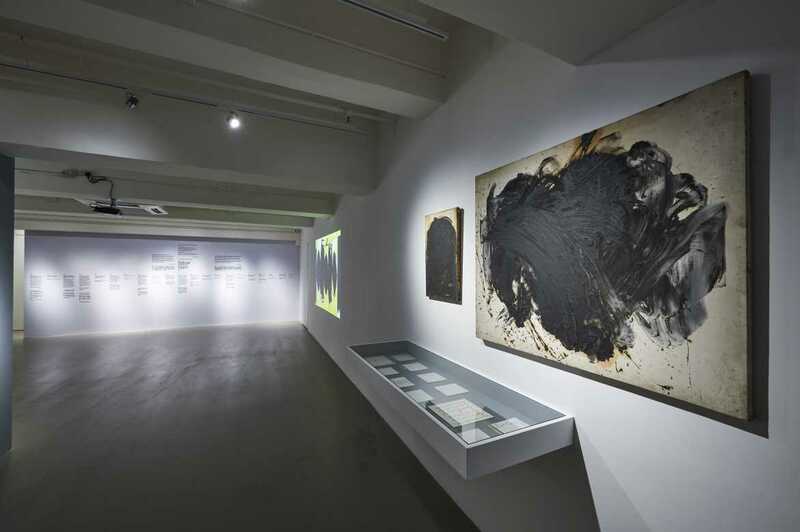 A poem on abstraction is curated by Cosmin Costinas and Inti Guerrero.